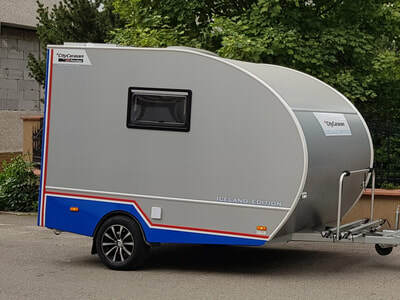 New generation of light caravans for active lifestyles now coming to Iceland ! 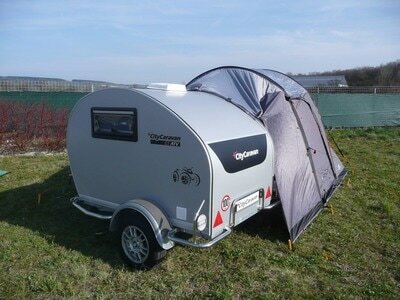 ​Light caravans for any active lifestyle! Independence, freedom, active lifestyle, part of your home always with you. Coffee, relaxation, snacks, homemade food, hygiene ... you have almost everything at home wherever you choose. Mobile "office" for your business trips and business. You never have to solve where you sleep, what you eat, because you have everything you need with you. Warm, dry, pleasant and especially yours, the background in every weather you have with your car anywhere. ​That and much more you can experience in some of our caravan models during your trip to Iceland. ​Meet new places in the comfort of our caravans ! ​Thanks to a special chassis with a low center of gravity, all our caravans allowed to travel a maximum speed of 130 km/h. 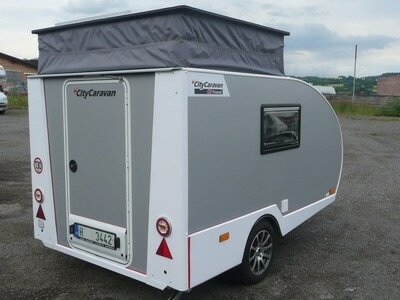 Multifunctional CityCaravans perfectly adapts to your interests and hobbies, because they have rear doors with low tread edge and can be transported in them, for example, electric bikes, scooters, motorcycles, skis, surfboards, scuba diving, climbing equipment and a smaller boat. You will experience a lot of fun with them. ​High-end caravans at unbeatable prices available meet'm your dream! ​All CityCaravans have an aerodynamic shape and the width of the models range from 130 cm to 180 cm (200 cm), normally without brakes. Above order to brake. This allows their participation for small vehicles, tricycles and quadricycles. They are very suitable for hybrid vehicles and electric vehicles. Increase consumption of the towing vehicle is minimal and there is no need for extensions outside mirrors. The big advantage is that they do not need a driving license E because the trailers are in 750 kg category O1. ​CityCaravany are made of construction materials that do not contain wood. The technology "HOLZFREI" is a major trend in this sector. 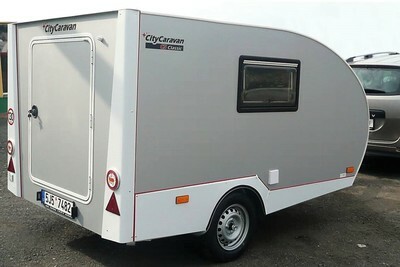 ​Our CityCaravans are almost maintenance free and most efficient. Easy to handle and most models parked in a regular garage. An important advantage is the reduced cost of operation, maintenance and costly repairs associated with large caravans.